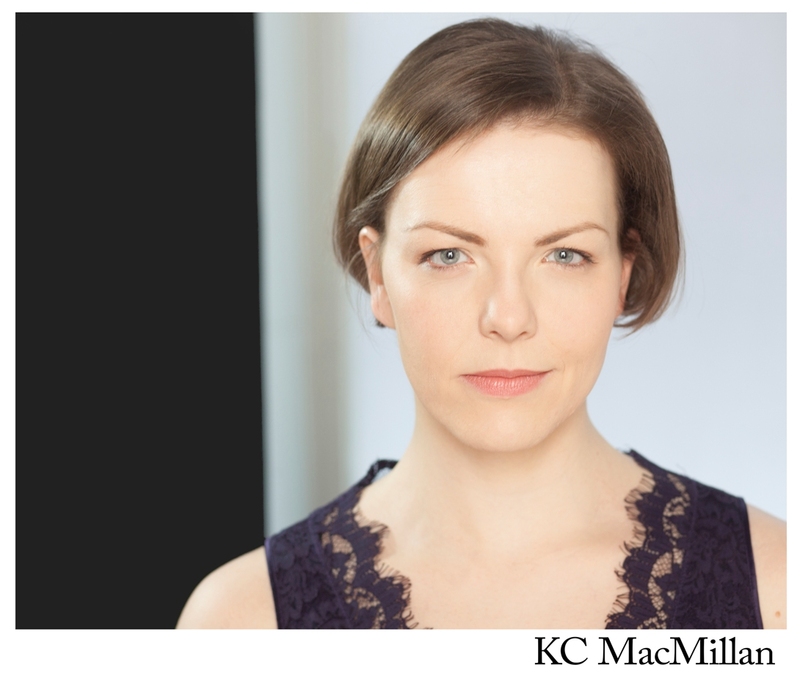 Known to everyone in the Philadelphia theater community as a director, dramaturg, and associate artistic director of Lantern Theater Company, KC MacMillan is now adding actor to her list of professional credits. This month she will emerge from behind-the-scenes to on-stage, in her first professional performance since earning her master’s degree in 2001 from Villanova University. Phindie caught up with KC between rehearsals and classes (she also teaches an assortment of courses at the University of the Arts) to discuss her reversal of roles from directing to acting. 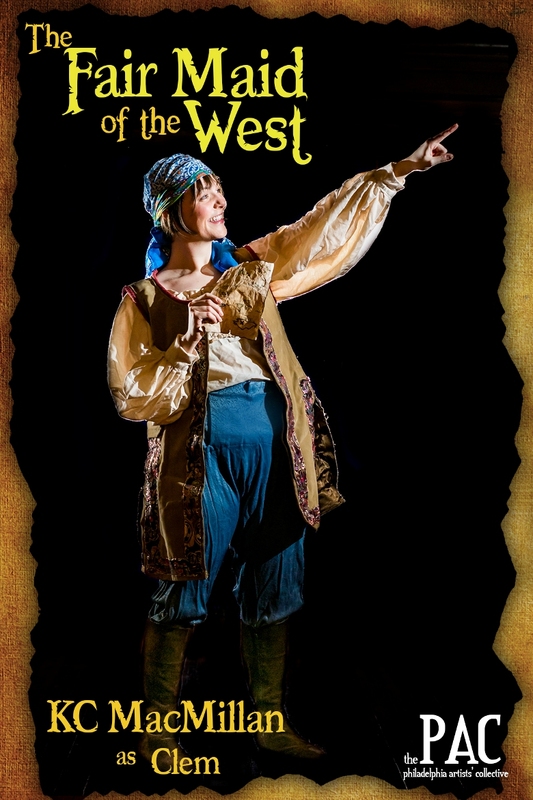 PHINDIE: I feel like I’ve known you forever, since the very beginning of your professional career in the theater, but I was surprised to see that you were cast in the Philadelphia Artists’ Collective’s THE FAIR MAID OF THE WEST! It was the first I heard that you also acted, in addition to your directing and dramaturgy. What’s your background/training in acting? KC MACMILLAN: My background was fairly general. 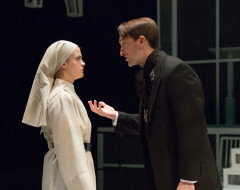 I did a bit of acting as an undergrad, but went to Villanova with dramaturgy in mind. As a student, I had a bad experience with a director who tried to elicit a performance from me by harnessing some of my very personal fears, without getting my permission or asking if I wanted to put it out there on stage. After that, I thought I’d never do it again; it drained me of my love of acting, but I was completely committed to directing and dramaturgy. PHINDIE: What made you decide that you wanted to audition, after so many years of focussing on your other skills?It seems to be the opposite of the norm;while most theater artists evolve from acting into directing, you’re reversing the trend! KCM: Over the past couple of years I felt my interest creeping in again, inspired by the great actors I’ve worked with as a director. I had some completely noncommittal discussions with K.O. DelMarcelle, telling her that I was thinking I might want to do some acting. She was in a show last year that needed a 30-something woman, so she put my name in to audition. I told a few people that I was doing it so I couldn’t cancel, even though I was still thinking about it on my way over in the car! But I did it, and even though I didn’t get the part–which was not unexpected–it was a good experience for me to see auditions from the other side, with a very warm director. PHINDIE: How did this role in THE FAIR MAID OF THE WEST come about? KCM: I told Charlotte Northeast about my experience, and she encouraged me to keep auditioning. She called me a few weeks later to ask me to read for FAIR MAID, which she is directing for the PAC. 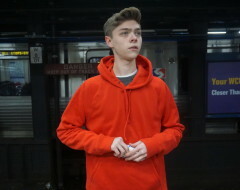 I called her back, and went in to audition; a week after that, I was surprised to hear from her that she cast me as Clem! PHINDIE: When Charlotte first talked to me about the show, she said it was “so stupid!! !” Of course she meant it in a good way, in terms of being purely entertaining and hilarious. How do you see the play and your role in it? KCM: Oh, it’s very stupid, and I’m one of the stupidest characters of all! But there are real-life observations about love that are juxtaposed with ridiculous situations about pirates. And there are some scenes that are so moving that you value the beauty within the silliness. My character Clem is so innocent, with so little life experience that she opens her heart and mind to whatever happens. So in portraying her, I have to be ready and enthusiastic, which is easy to do! PHINDIE: As a Barrymore-nominated director, is it hard for you to follow someone else’s direction? KCM: Not at all, not even a little bit! I might not be able to do it with just anyone, but I trust Charlotte completely. Whenever I have a question, she’s got it, she has the answer. I don’t have to direct myself; I’m not even tempted to. It’s probably obvious to other actors, but I realized that you can’t see yourself, so you must live in the world your director creates for you. And I’m not the only director in this cast, there’s also Jennifer MacMillan and Dan Hodge—and everyone is there to take Charlotte’s great direction! PHINDIE: How have your directing and dramaturgy served to inform your acting? KCM: My background in dramaturgy has instilled some understanding that FAIR MAID is an English Renaissance piece, with unfamiliar language and an unknown vocabulary. 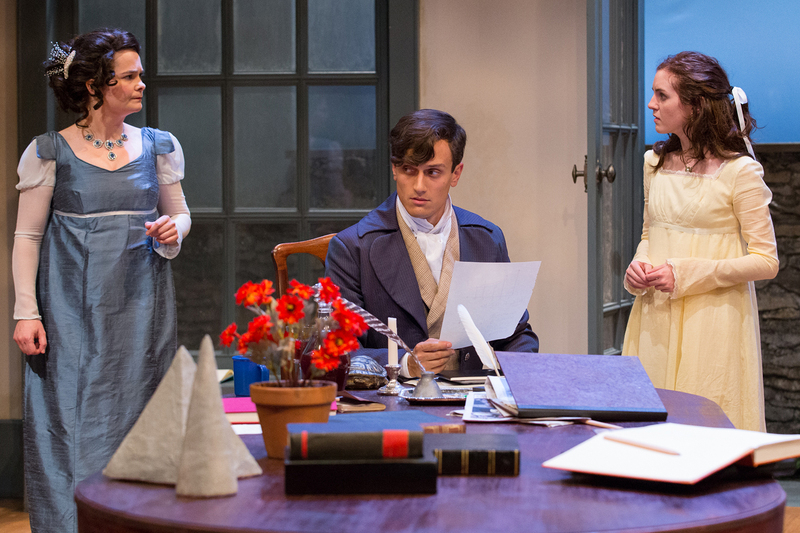 If it weren’t for a thoughtful look into words’ meanings and etymology, I would miss half the jokes, so I recognize the importance to actors of good dramaturgy for the comprehension and interpretation of the play. As for the influence of my directing on my acting, I think it’s the other way around. I think that acting has informed my directing because I’m communicating with actors in different ways now, as one of them. Before I give direction in the future, I’ll think, “What if someone said that to me?” And I realized that what I say is okay, so there’s less anxiety now in trusting myself and knowing that the actors will understand. Another point that became clearer to me is that it’s really hard for an actor to play a small role, to go from sitting in the dressing room to going full speed on stage. 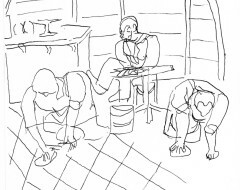 I’m only on for about fifteen minutes in FAIR MAID, and as a director I sometimes forget how difficult it is for the supporting cast, but I won’t forget that in the future, it’s a good reminder of how hard it is to be waiting backstage. PHINDIE: There’s no doubt that you’re always conscious of being considerate to your colleagues. I’ve never heard anything but positive comments from actors who’ve worked with you, about how generous, sweet, and gracious you are. KCM: Thank you for saying that, I’m very happy to hear it. I pride myself on creating a joyful process, in communicating clearly with people, and in letting the actors know that they’re respected. PHINDIE: Has it been difficult to balance your schedule at the Lantern and at UArts with your rehearsals and performances of FAIR MAID? KCM: I usually freelance in the spring, and Charles [McMahon, co-founder and artistic director of the Lantern] has been very generous in letting me. I always find the time, as do most people in the theater; many of them work full-time jobs in addition to acting. Thirteen-hour days are really tiring, so it’s been a great lesson about how actors do it. This isn’t a big role, so I thought it wouldn’t be as time-consuming, but I’m feeling it physically–it’s exhausting! I’m also appreciating the fact that having time to reflect is not just important, it’s vital. You must allow time between rehearsals to reflect on the work you’re doing. PHINDIE: What has been your favorite past experience in directing? KCM: Oh, I have so many! Both Doubt and Arcadia this season at the Lantern were very joyful. There is one memory in particular that was a turning point in my process. My father died seven years ago, my mother six, so I’ve had to learn to accept that the universe gives and then takes away, and is indifferent in doing so. As a student I wasn’t comfortable being out of control as an actor, whereas directing gives more control, so it seems helpful in recognizing where I have control and where I don’t. It’s frightening and exhilarating, but I know I can be ready if I keep my concentration. The first day of rehearsal for The Hothouse at the Lantern in 2008 [for which KC received her first Barrymore nomination for Best Director] was right after my father died, and the stakes were high in directing what was a new genre for me. So I told the actors what I was going through, that I was worried I might not have the endurance, and that they could free me from that by letting me know if they were confused, so I wouldn’t have to wonder. I had seven people who were so present through all of this, who were listening to me, to bear witness. The process led me to a new place in my ability to communicate; they gave me that gift as a person and as a director. It’s funny; thinking about them just now, I can’t help but think that they’d be amused that I’m getting back to doing some acting, taking a risk at something I might not be good at. PHINDIE: What shows would you like to direct, and to perform, in the future? KCM: I don’t know; I’ve directed a lot of comedy, and I like the precision of landing a joke, so I’ve really enjoyed doing it now as an actor. I’ve already directed some of my dream shows for the Lantern, like Uncle Vanya and The Beauty Queen of Leenane, but I would like to do more Chekhov, more Pinter, and a door-banging farce. It would also be fun to play a villain—it’s something I discussed with Kate Raines when she was doing the photo shoot for my headshot, which I need now that I’m auditioning. It’s not that I would have the chops for something as big as, say, Lady Macbeth, but it would be fun to inhabit that kind of character, the type of person who doesn’t care at all about being liked! My role as Clem is not as big a stretch, because she shares a lot of my characteristics. She’s essentially an innocent little girl; it doesn’t come out with everyone, but I have a lot of ‘grumpy toddler’ within me–it’s one of the things my husband Eric says he loves about me! She also has a line in the play describing her Dad; it’s a very personal moment, and I feel like my father is with me. There’s great warmth in this character and in this show. PHINDIE: What’s up next for you next, after THE FAIR MAID OF THE WEST? KCM: On August 18th–my birthday–I start rehearsals at the Lantern for Photograph 51, which I’m directing. I actually have three shows to direct that are coming up in the fall, so I’ll be busy prepping for those this summer, both with casting and doing my own dramaturgy. PHINDIE: Many thanks, KC, for taking the time out of your busy schedule to talk to Phindie. I’m sure everyone is looking forward to the shows you’re directing in the 2015-16 season, and to your professional acting debut in the PAC’s THE FAIR MAID OF THE WEST! [Broad Street Ministry, 315 S. Broad St.] April 1-18, 2015; philartistscollective.org. share this interest/ talent in theater……could it be genetic? You go, Girl !